Apple released iOS 12 on Sept. 17, and most of the announced features have been released for the iPhone's latest available operating system. However, some brand new features can be accessed with Apple's latest beta, iOS 12.3. If you want to try out all its new features before everyone else, you can install the developer or public beta on your iPhone right now. Released first to developers on March 27, just two days after iOS 12.2's stable version was available to the masses for iPad, iPhone, and iPod touch, iOS 12.3 includes a much-revamped TV app. 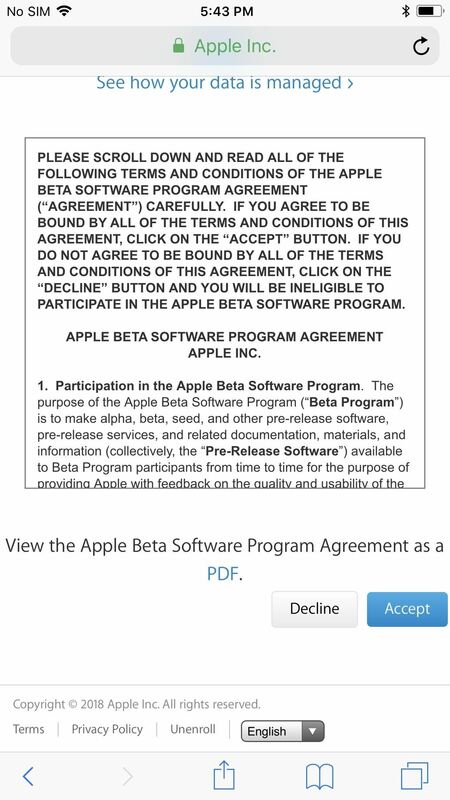 The first beta will be made available to the public on March 28 via Apple's Beta Software Program. So, whether you're a registered Apple developer or just someone who wants to install the public beta, we'll cover both methods below. Just note that this is beta software, so there will be some bugs and other issues. Before you jump the gun and set up your iPhone with the latest and greatest from Apple, though, there's some housekeeping you need to take care of first. While not necessary, skipping an archived backup could be more trouble than the time it takes to complete. Unless, of course, you enjoy losing all of your data. The new mobile operating system by Apple, iOS 12, broke update cycle records since it was the sixth major iOS version to be compatible with the iPhone 5S. Previously, the iPhone 4S and iPhone 5 both lasted a total of five major OS versions. This also applies to iOS 12.3 beta. 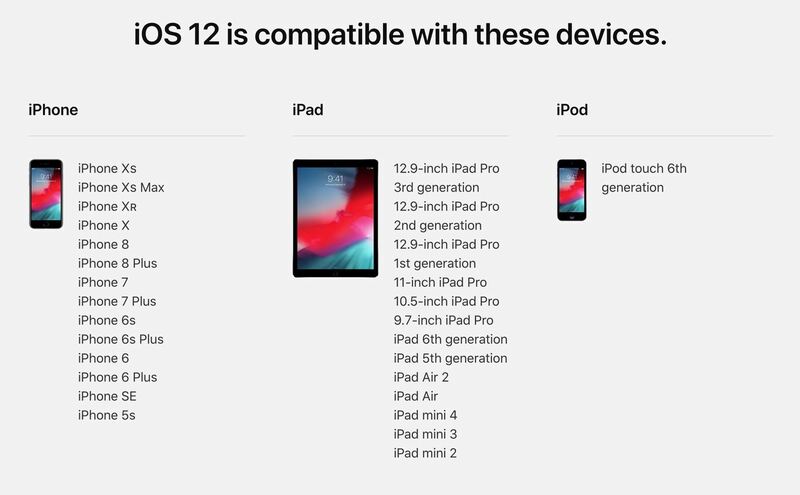 In these instructions, we'll assume you're updating an iPhone, but the process is the same for all compatible iOS devices, i.e., a compatible iPad and iPod touch. If your experience with iOS 11 or iOS 12 was buggy, you might want those days to be far behind you. We get it. But if you're going to make the dive into iOS 12.3 beta, you'll want to keep a backup of your iPhone as it currently stands. If something goes wrong during beta testing and you don't have a backup, you may not be able to return to iOS 11 or iOS 12.2 without losing everything on your iPhone. 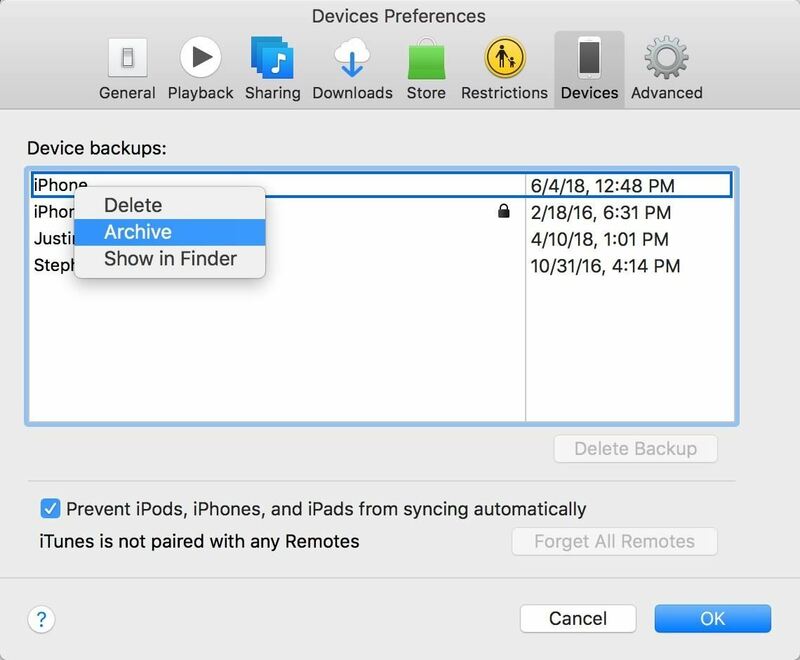 You can make your backup through either iCloud or iTunes, but we recommend iTunes so you can archive your backup, which eliminates the risk of overwriting that backup the next time your iPhone syncs. After backing up with iTunes, select "iTunes" in the menu bar, followed by "Preferences," then click the "Devices" tab. Locate and right-click on your backup in the list, then select "Archive" to protect it. From now on, when you back up your iPhone with iOS 12.3 beta, that backup will be saved separately, leaving your archived iOS 12.2 backup untouched and able to be restored if something should happen. Example of archiving an iOS 11 backup in iTunes. Of course, this method is only useful for as long as Apple signs iOS 12.2. Once Apple declares an older operating system a relic of the past, your archive is as good as gone — unless you back up your SHSH2 blobs. With this method, you can trick iTunes into letting you restore an iPhone to an unsigned version of iOS. It's a bit more intensive than the above step, but it better protects your archive. 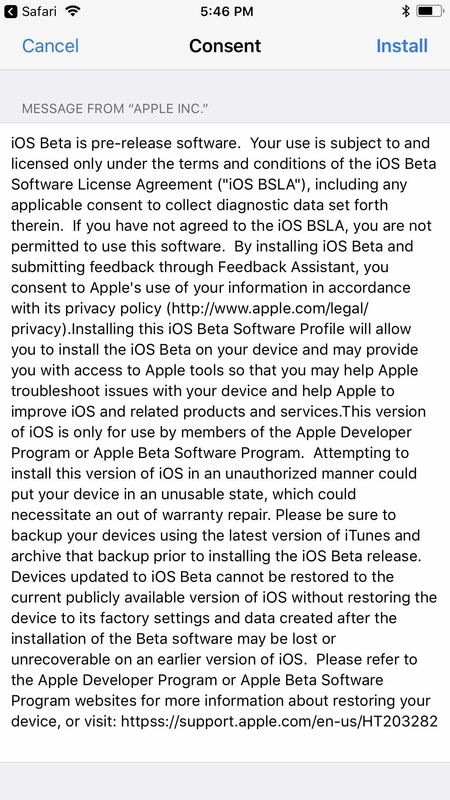 Developers gain access to iOS betas earlier than the public, as well as receive release notes containing the changes that come with each update. 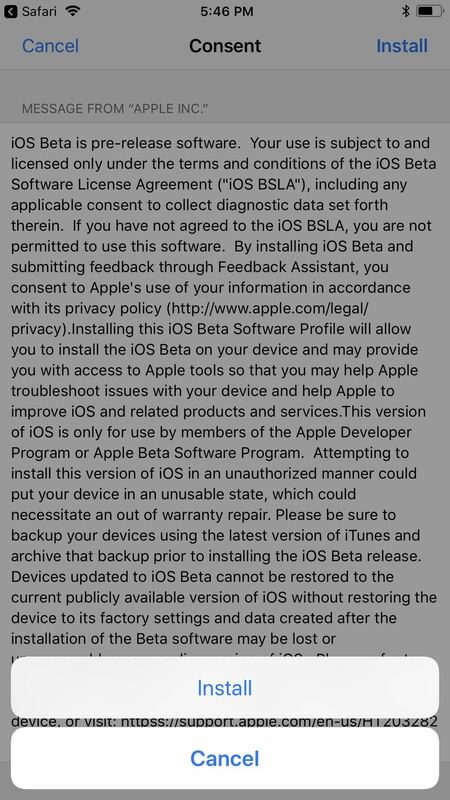 The developer beta for iOS 12.3 dropped shortly after iOS 12.2 was released, so just use the instructions below to download and install the beta as soon as possible. If you were already a part of the iOS 12 developer beta, all you need to do is jump down to step 10 below. Register your iPhone's UDID with your dev account, if not done so already. Plug your iPhone in to charge it and connect to Wi-Fi. On your iPhone, visit developer.apple.com/download. Sign into your developer account. If you have two-factor authentication on your account, verify your identity as instructed. Tap "Download" next to the iOS 12.3 beta. On the popup, "Allow" the website to open up your Settings. Tap "Install" on the .mobileconfig profile and follow the subsequent prompts. When prompted, select "Restart" to restart your iPhone. 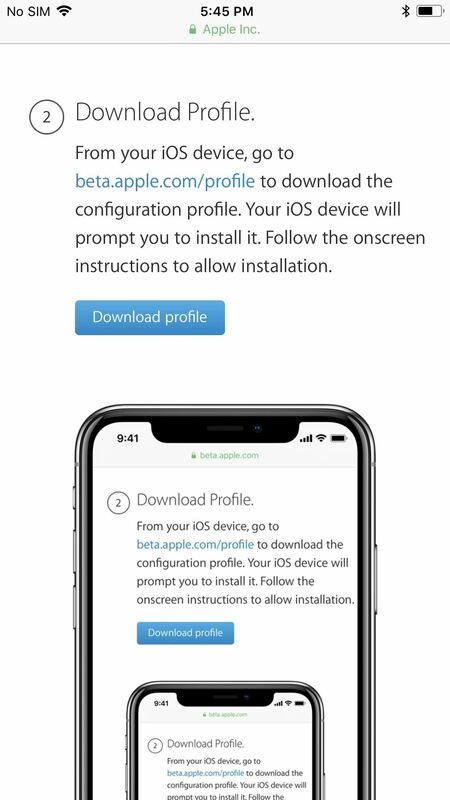 Once your iPhone is running the iOS 12 developer profile, you can check the "Software Update" section in your device's "General" settings to install new beta versions. 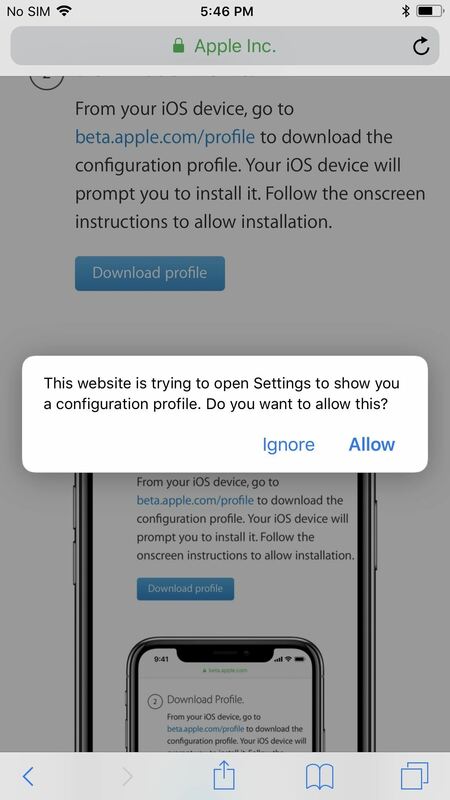 Note, if you're installing iOS 12.3 beta on multiple devices, you will need to first add all their UDIDs to the dev site so that they are registered, then you can just send them the .mobileconfig profile to install via email, AirDrop, etc. Before you can start testing iOS 12.3 on your iPhone, you need to enroll in the Apple Beta Software Program for iOS 12. 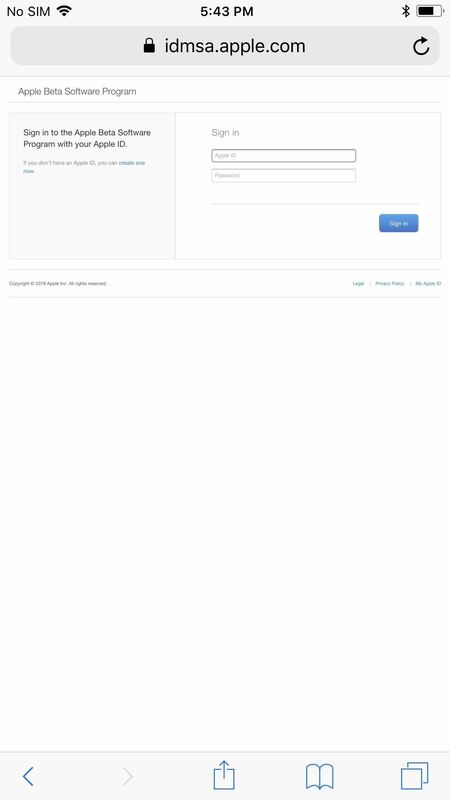 If you already enrolled before, you can just sign in instead of sign up. 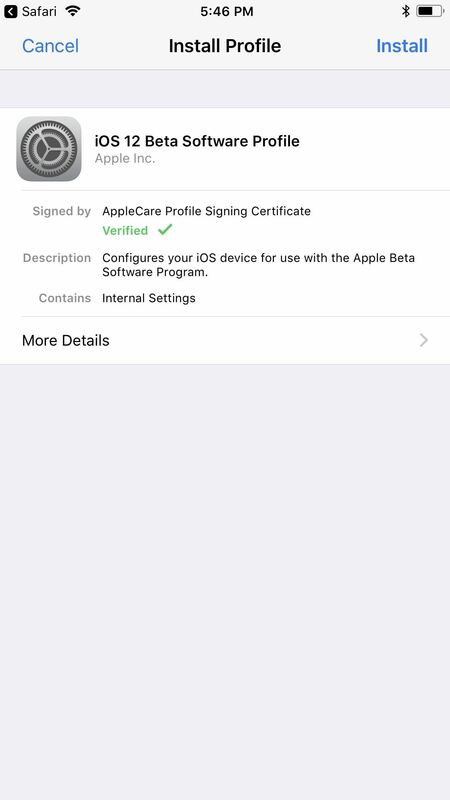 You will still need to complete the process below if you were previously on an iOS 11 beta profile. If you were on the iOS 12.0, 12.1, or 12.2 public beta before, you won't have to do anything except check for updates in your settings. Make an archived backup if not done already! Tap the "Sign Up" or "Sign In" button. 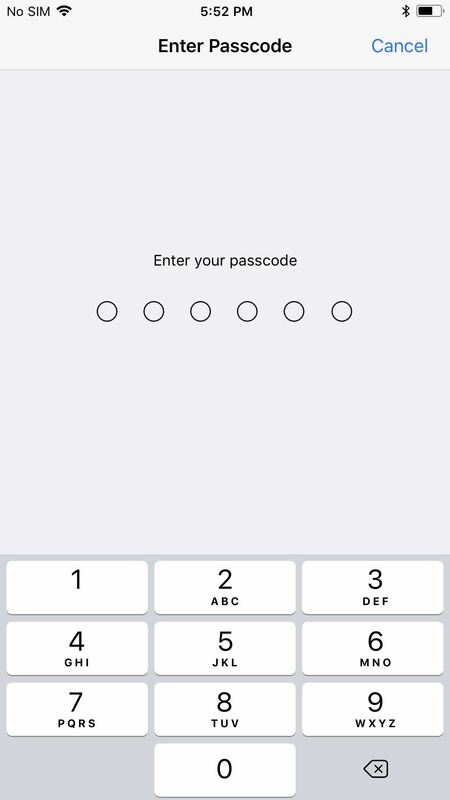 Log in using your Apple ID and password. Visit beta.apple.com/profile to enroll your device. Tap the "Download profile" link halfway down the page. When prompted, tap "Allow" to be shown the configuration profile. Enter your passcode to confirm. Tap "Install" on the Consent form, then "Install" on the popup. Restart your iPhone immediately or whenever you want. After it's back up and running, go to Settings –> General –> Software Update. 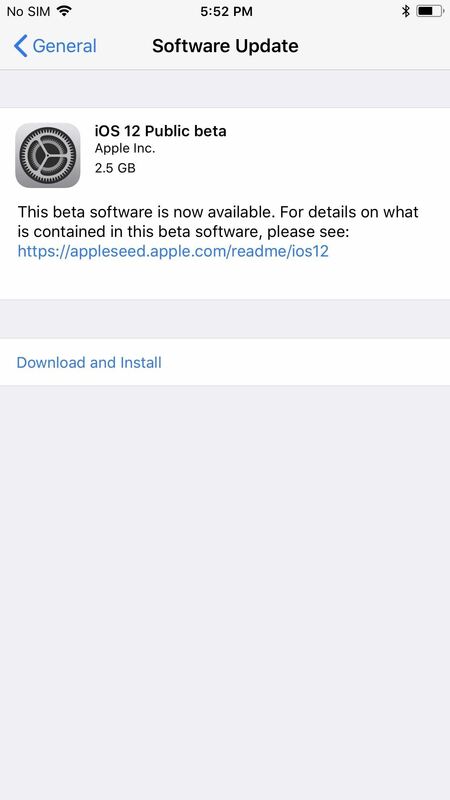 Select "Download and Install," then finish installing the iOS 12.3 beta just like any other update. Welcome to the iOS 12.3 beta! Let us know in the comments below any and all bugs and glitches you may experience. And if they become too much for you to bear, you can always downgrade back to iOS 12.2. If you're talking about the public beta, it was released the evening of June 28, so feel free to try the updated directions listed above.